The goal of this document is to assist nurses working with youth in a variety of practice settings, i.e. schools, public health units, community health centres, adolescent clinics, hospitals, and in family practice. 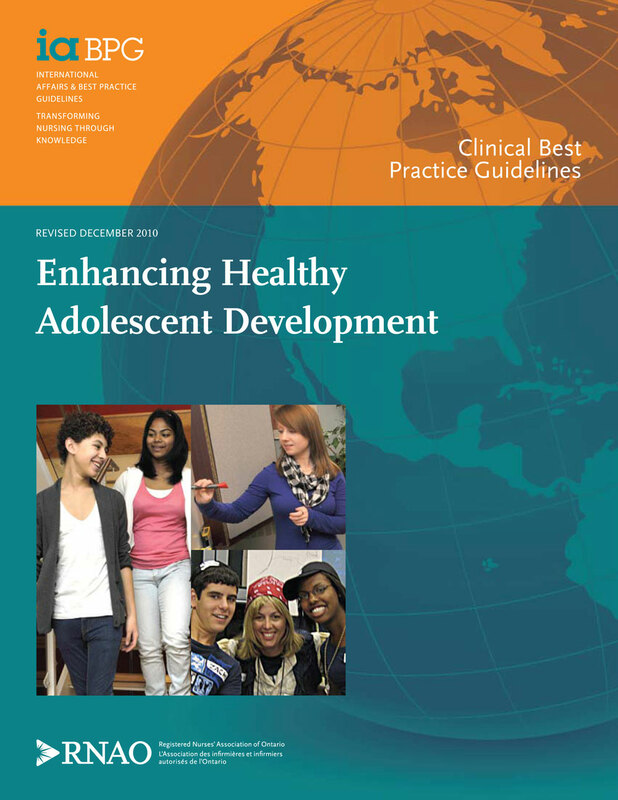 Recommendations are inclusive of adolescent development across diverse contexts (e.g. cultural, socioeconomic, structural, political). This guideline is intended for nurses who are not necessarily experts in the above-mentioned practice areas, and who work in a variety of practice settings across the continuum of care. It is acknowledged that individual competencies vary between nurses and across categories of nursing professionals. Individual competencies are based on knowledge, skills, attitudes, critical analysis and decision-making, which are enhanced over time by experience and education. It is anticipated that the information contained in this best practice guideline will reinforce the value of initiatives already being implemented and stimulate interest in incorporating additional approaches. Furthermore, it is intended that this guideline will be applicable to all domains of nursing, including practice, administration, policy, education and research. 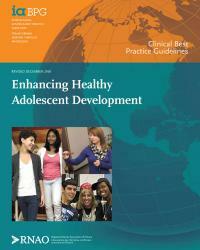 While focusing on nursing practice, this guideline is relevant to all disciplines, and supports an interprofessional approach to enhancing healthy adolescent development. This approach is consistent with the primary healthcare framework promoted by the World Health Organization (2008). The intention is that by utilizing best and promising practices regarding youth development, nurses and others can make a difference more often, for more youth, across diverse settings.